Android has undoubtedly emerged as the market leader with its latest technologies and programmer friendly OS. However, Android OS alone cannot cater to all the requirements if it is not loaded with number of applications. There are numerous applications available on Google Play. But there are several organizations who want to have unique apps as per their business requirements. People are having endless discussions on whether to have a dedicated team of Android programmers in their organization or to outsource it from other organization. Every client has different requirements and it is solely their decision to choose from either of the options. For most of the companies it is not possible to have an in-house team of programmers due to financial constraints. Thus they outsource the work from third party companies - Outsourcers. Outsourcing the Android application development is often less costly and hassle free. Outsourcers bring in the passion, excellence, and innovative thinking. They are responsible and believe that every project and business uses technology for different purpose. They are bound to work hard as clients can inspect the work at any stage of the projects. A dedicated outsourcing firm will love to get involved right at the design stage. Here is why you should hire an outsourcer. Technical knowledge and talent is the basic need for Android app development. The ability to deliver innovative solution for development is one of the most important reasons why you should outsource Android development. 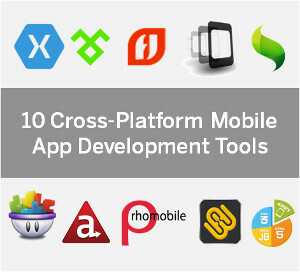 There are developers who have created several of the most downloaded Android apps in the world. In-house team charge you more cost of development as one has to pay charges for office and resources used in development. You can hire an outsourcing company for whole project or dedicated person on monthly, weekly or hourly basis. Creating application through in-house resources adds responsibility as you have to take the entire responsibility of project which is not a case with outsourcing. You can rather have time to concentrate on your business. Outsourcers provide 24*7 online support to customers. In addition they also provide report from development, weekly, quarterly, daily or monthly, as you may require. Of course, outsourcing mobile app development brings in some disadvantages also - you may not have control over the quality of the final product, and legal recourse if the outsourcer does not deliver the apps as promised. To be on the safer side you can keep the following things in mind while choosing the outsourcing firm. Beware of the outsourcers who quote an incredibly low bid. Possibilities are that they donât understand your requirements. If your outsourcer quickly agrees to all your proposals, reconsider your decision. Authentic outsourcers will raise questions and objections so as to make sure you get exactly what youâre asking for. In short, outsourcing Android development project is an attractive option for all kind of entrepreneurs as you donât have to put huge capital to undertake project domestically. Android development services have become a primary necessity of almost all type and size of businesses. Today, mobile phones have become internet enabled and hence, customers need mobile apps so as to make shopping more and more comfortable.